Jonah Goldberg’s best- selling new book Liberal Fascism: The Secret History of the American Left from Mussolini to the Politics of Meaning, (New York: Doubleday, 2012), offers us the provocative thesis that American Liberalism and Progressivism has always been and continues to be rooted firmly within Italian Fascism and German National Socialism. In fact, that it heavily inspired both European movements to begin with. Goldberg points out nearly a hundred times in the book that he is not arguing that Liberals are Fascists and Nazis but then goes on to fully document Mussolini’s Fascist state and Hitler’s German Nazi state and then tells us just as often that Liberalism and Progressivism were merely more “gentle, nanny” versions of these dictatorial regimes. Goldberg tells us that what characterized the American Progressive Movement of 1890-1917 was a commitment to eugenics, a master race, imperialism, and a pathological hatred and aversion to individual liberty and the Constitution of the United States; that it sought to destroy democracy itself. America’s brief encounter with outright imperialism found Democrats and Republicans as well as conservatives and liberals divided over it. A largely Republican group of younger politicians led us into war with Spain and the Philippine Insurrection and it was imperialist. Mostly Southern conservative Democrats and an older, Yankee Civil War Era abolitionist liberal group opposed it on the other side and did not prevail. Liberalism and Progressivism was not inherently imperialist though many Progressives were imperialists, excited and energized by a United States that was emerging as a world power. If we were to ask the peoples of the Middle East if the United States now felt to them to be an imperialist power what do you think they would say about our current crop of liberal and conservative leaders alike? Goldberg’s great discoveries are rooted in turn by a set of conservative scholars who have launched a school of revisionist history at Hillsdale College in Michigan. 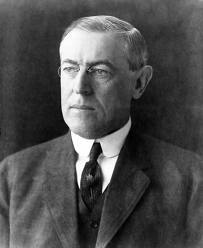 Woodrow Wilson and Teddy Roosevelt along with FDR and JFK and LBJ are the villains of United States history. They have brought us a centralized state where the Federal Government gave us a state “where everything was inside the state and nothing was outside.” Liberals, Goldberg explains led the charge for a totalitarian American state. The Hillsdale College School of alternative American History is both counterfactual (yes they got it wrong) and chronologically Progressives in circa 1900 did not have Mussolini and Hitler to guide them, nor had they sought to destroy democracy within an overly “eqalitarian” and all-encompassing state.We might rightly ask Mr. Goldberg if what America is about is a deeply un-egalitarian and powerless national government? Historically, we have to begin with the centralization and geographic expansion which occurred in American business enterprise in the years both during and following on the American Civil War. The development of large corporations employing thousands of operatives at starvation wages, with long, brutal hours, and dirty and dangerous working conditions was born. It was an era where business and government cooperated fully with each other. An 1876 novel by Mark Twain coined a historical period known as the Gilded Age. Corporations led by the great Captains of Industry brought innovations to their organizations that we today know as trusts and holding companies that control them. Essentially, trusts were groups of corporations that were centrally managed as a single unit to severely limit competition and thereby reap the lions share of profits and with the ability to charge high prices for the goods they sold all the while doing so on the backs of their workers. Politics was rife with corruption where politicians were in bed with the great corporate interests in both political parties, what would become known as the “Old Guard” wings of both the Republican and Democratic Parties. Both parties ran “political machines” in our major cities and in some state governments. Using just the State of New York as an example, Thomas Platt ran a statewide Republican Old Guard political organization where you had to play ball with them or not get elected. In Tammany Hall in New York City Democrat Boss Tweed and later manifestations of the same kind of Mayor would be replicated. In Wisconsin, Milwaukee City Government was corrupt. The power industry was in bed with city government. On the State level just before the turn of the century the timber industry and railroads had firm control of the Republican dominated state legislature led by Governor Thompson. Meanwhile, farmers were cheated when railroads over charged them or grain elevator operators did the same with their crops. Urban factory workers were fully exploited labor—even children were used denying them a childhood and a proper education. Families often engaged in “piecework,” rather than having their kids in school they worked long hours right alongside of mom and dad. Urban Ghettos of tenement flats exposed the immigrants sweeping into the country to disease. Coal, copper, and silver miners were victimized. Into this milieu stepped the American Progressive Movement. Progressives sought to regulate American business in the interest of the public to stimulate competition within our free Market Economy. They established the Direct Primary to lessen the influence of machine politics and the bosses who had decided who were run for political office. Women won the right to vote and become full citizens with the 19th Amendment to the U.S. Constitution. The 17th Amendment to the U.S. Constitution provided for the Direct Election of Senators to the Congress. Previously, you voted for your state representatives and then they chose your senator for you—not trusting you to make a wise choice. Instead of destroying democracy, Progressivism vastly enlarged its health and dimensions. The growth of centralized manufacturing and such large corporate business led to workers organizing unions to have some sort of minimal control over the wages they received, the hours they worked and the health of the conditions of their workplaces. It was the Progressive Wilson Administration and the Progressive dominated Congress that finally passed the first Child Labor Law in 1915—restricting business from hiring children before they had a childhood and an education. Anti-trust legislation did not end the ill effects of corporate trusts but it did establish that there was a public interest to be served in making sure markets were truly free and open to competition. Wisconsin saw the rise of “Fighting Bob” La Follette as Governor and the kind of cronyism between the State Legislature and the timber and railroad interests was minimized. La Follette and his allies brought in the first Direct Primary, the Initiative, the Referendum and the Recall. The Wisconsin Idea wisely made use of college professors at the University of Wisconsin and other institutions to better advise legislators as to what impact their ideas would really have and how any new legislation for public betterment could be made to work in a way that was open, clean, (transparency today) and more accountable to the voter. In Milwaukee, a group of “Sewer Socialists” took hold of city government and amazingly ended corruption and delivered city services efficiently and honestly in a way that has not been fully matched since. These German liberals (socialists) were not extremists but reform minded public servants. Railroads and telegraph companies came under tighter government regulation to limit what they could charge in the name of fairness via the Interstate Commerce Act of 1887, and such legislation as the Elkins Act. The interest of the public in safety was at least partly realized by the Meat Inspection and Pure Food and Drug Acts of 1906. The Progressive Era saw the development of national labor unions where workers joined together to get the big three: higher wages, shorter hours, and better working conditions. The Eight Hour Day was finally achieved by a second wave of Progressive Reform with FDR’s New Deal. In 1940 the Fair Labor Standards Act made the eight hour day with overtime pay the law of the land. The progressive impulse in American history was a response to the chaotic and exploitive Social Darwinism of the Gilded Age where special interests ruled above that of the interests of the larger public. Much or all of this was already in place prior to World War I. Certainly it was by 1910, acknowledged by scholars to be the high point of the movement historically. It is interesting to note that Goldberg minimizes his discussion of these things to focus instead on the flirtation of much of the scientific community in the period prior to World War I with the field of eugenics. Some Progressive scholars did indeed champion it for a time, before the slippery slope that led to Hitler’s Germany and the Holocaust showed humankind the error of their ways. Historically, the intolerance displayed by these elements during and immediately after the war was not distinctly liberal or conservative but the product of fear, ignorance, and a nation entering what was then total war. Some progressives limited the right of the people to sell, transport, and consume alcoholic beverages. There were progressives who feared the kind of immigration we were seeing after 1890. If you have Polish, Russian, Italian, Greek, Turkish, Slovenian, Serbian, Croatian, Czech, Bohemian or have Jewish ethnicity, your forbearers coming to America from the Stettles of Eastern Europe, it was a distinct minority of Progressives who did not want you here. They tended to be White, Anglo-Saxon Protestants (WASPS) with connections to America’s founding fathers who viewed your ancestors, including Jonah Goldberg’s no doubt, as being incapable of understanding democracy and becoming responsible citizens. Now we are seeing a new nativist ideology in the discomfort and outright hatred of immigrants be they legal or not if those immigrants happen to be of color. FDR’s New Deal did have robust government programs that mimicked some of the aesthetic of the Italian Fascists and Hitler’s Germany as Goldberg charges, yet, the way the United States under FDR’s New Deal dealt with the Great Depression that struck the world and the way Hitler and Mussolini did were strikingly different. They could not have been more different. To saddle FDR with a fascist intent however mild is not only absurd on its face but it fails to recognize just how badly the free market that Goldberg and his ilk worship had failed us by 1933, when Roosevelt took office. Historically, most of our depressions in say 1837, 1857, 1873, 1893, 1907, a small dip in 1913-14, and after World War II, even the meltdown of 2008-09 was nothing like that of 1929-1940. Herbert Hoover, a Republican president preaching a “Rugged Individualism” and looking to the private sector to right the economic ship got nothing from private business. The U.S. was on the edge of something in 1933, and only quick and bold action could turn things around. Of course FDR did NOT completely solve or end the Depression of the 1930’s. But a continuation of Hoover’s policies simply was not going to do it. This depression was simply too large and too deep for the usual private sector led turnaround after a couple of years. The stock market collapse of 1929 brought on the Securities and Exchange Commission, the parent to the Dodd-Frank legislation recently passed under the Obama Administration. FDR’s New Deal refinanced both home loans to urban dwellers and farm loans to farmers hard hit by the depression. Millions would benefit. Banking legislation insured the savings of depositor’s money and created the Federal Deposit Insurance Corporation (FDIC) and the Federal Savings and Loan Corporation (FSLIC). Hoover’s one significant contribution was in the Reconstruction Finance Corporation or (RFC) in 1932 that poured billions into corporate America to put people back to work and awaken business expansion. In a juxtaposition of events Hoover denied millions of World War I vets the ability to receive their soldier pensions early to keep their families together. Thousands were burned out of their encampment in Washington D.C. virtually the same week as the RFC gave corporate America so much trickle-down economics. The American people noticed. FDR was right when he told aides that Hoover lost the election of 1932 right then—when the publicity from what was called the Bonus Army March on Washington hit the newspapers all over America. Goldberg laments the Agricultural Adjustment Act of 1933/36 where the U.S. government subsidized American agriculture to cut surplus production and drive up crop prices to levels where farmers could make it. It is true the National Recovery Act or (NRA) was largely a bust. Its attempt to regulate business operations to get people to buy more under the “Blue Eagle” was largely ineffective. But FDR was all about bold experimentation to get people back to work, get money in their pockets, stimulate spending, and bring back the entire American economy. The Wagner Act of 1935 gave American workers the legal right to organize unions within their workplaces and today’s National Labor Relations Board to conduct union elections and settle via arbitration labor disputes that seemed to defy settlement by negotiated contract. Though Roosevelt never got it all done if you’d ask Americans which they wanted, the America of the spring of 1933 or what they already had in 1935 and 1936 you’d get a resounding affirmation of the latter. It had a lot to do with FDR’s landslide re-election that year. People knew they were crawling slowly out of a huge hole with the New Deal. The Civilian Conservation Corps, the Works Progress Administration, and the Public Works Administration along with the National Youth Administration did indeed look a little like some sort of American Para-military but not the Brown shirts and Hitler Youth Goldberg sees with the New Deal. Those programs did not promote dictatorship and a politics of the “Master Race.” There were no Nuremberg Laws in the New Deal. It did not bring an American Crystallnacht. But a lot of people got to work for what they got from government and it got them through until the private sector made a sufficient recovery to offer them jobs. The leading scholar of the New Deal, William Leuchtenberg, has crystalized what the New Deal was. It was not a fascist program attacking the individual and democratic self-government. It was an approach to governance where the Federal Government became the nation’s chief employer when the private sector could not be. It inaugurated a new relationship between Americans and their government where that government became primarily responsible for providing continuing prosperity and a healthy economy—still within a free market capitalist system of private enterprise. Government also became focused more on leading the way at solving economic and social problems. Even Republican Dwight David Eisenhower told the nation in 1953 that he would not do away with the remaining innovations of the New Deal. Of course the big government employment programs were gone as they were no longer needed. Eisenhower even extended Social Security to more Americans—a New Deal innovation. Lyndon Johnson would extend the safety net to Medicare and Medicaid in 1965. 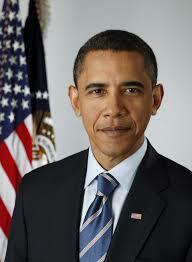 In 2009 President Obama would launch the Health Care Affordability Act. 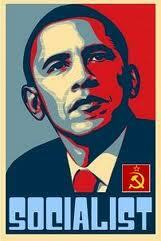 Any takers to dump their Social Security and refuse to be covered by either Obamacare, Medicare, Medicaid? It would be LBJ that would sign into law the Civil Rights Act of 1964 and the Voting Rights Act of 1965. The liberal wing of the Republican Party would be at his side with the liberal northern wing of his Democratic Party. Veterans: Want to give up your benefits in the interest of the kind of small government envisioned by Paul Ryan and Rand Paul and well, Jonah Goldberg? Want to have your savings uninsured and totally at the mercy of the next Wall Street meltdown? You know we could do that to cut big government down to size! Want to give up your right to vote for your U.S. Senators? Want to see women lose the vote and not be able to either hold public office or serve on juries. Or perhaps we’ll go back to the start and not let them have custody of their children or have the ability to keep what they have when they marry. Shall we rid ourselves of the eight- hour- day or send your grade school age children to work in mines or on railroads or in sweat shops? Or do you want them to have a childhood and to get an education so they might achieve and support families of their own someday? Do we really want child labor to return? American foreign policy in the 1930’s became heavily anti-fascist yet distinctly isolationist and non-interventionist. 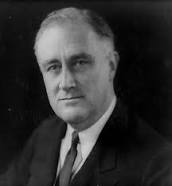 FDR made his famous Quarantine Speech in October of 1937 in heavily isolationist Chicago, Illinois, where he called on the nation to join with other democracies to beat back the expansion of the three aggressor nations, Germany, Italy, and Japan. We as a people were not listening yet. FDR would lead the fight in World War II to utterly defeat these powers and their anti-democratic tendencies. Unlike Hitler and Mussolini, FDR and his party, along with the Republican Party, submitted themselves to democratic elections that were fair and free. 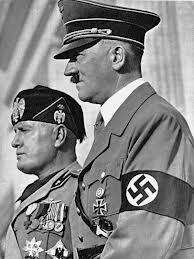 Hitler and Mussolini turned to plebiscites that were rigged, and in Germany Jews and Gypsies and government opponents had no citizen rights at all. FDR’s signing off on the internment of Japanese-Americans after Pearl Harbor was indeed a great stain on his presidential legacy, which is primarily positive. But it was the larger society’s antipathy to Asian-Americans and a Republican Governor who pushed hard to get this done with help from the United States Army and its intelligence branch and the FBI. That Republican Governor was Earl Warren, who later would lead the U.S. Supreme Court in the opposite direction during America’s Civil Rights years. Race- relations are a whole area Goldberg gets wrong. The ferment of the 1960’s is made into a reductio-ad-absurdum of simply the Black Panthers and Weather Underground. The Twentieth-century Civil Rights Movement led by the National Association for the Advancement of Colored People, Congress of Racial Equality, the Southern Christian Leadership Conference and the Student Non-violent Coordinating Committee are one of the very great shining legacies in the entire American experience, with its connection to faith, peace, non-violent passive resistance– peaceful civil disobedience that characterized the larger portion of what went on in the 1960’s. Goldberg saddles liberals with the Dixiecrat Southern wing of the Democratic Party. In truth, the Democratic Party up until Kennedy and LBJ did permit Jim Crow Segregation in the name of party unity and winning national elections. It was to that party’s detriment. But the liberal or progressive wing of the party up North and that New England Yankee part of the Republican Party came to the cause of civil rights much earlier. FDR cautiously saw to it that black tenant and sharecropper farmers got the full benefits of the New Deal. In 1938 Marian Anderson a black contralto opera singer was permitted to sing to hundreds of thousands at the Lincoln Memorial by FDR, with the help and pressure of Elenaor Roosevelt. The First Lady also intrepidly had gone out to highlight the plight of African-Americans all over the nation. It was both symbolic and actual. Black Americans had their cue, and were taken into the New Deal Coalition and Democrats would become the party of racial equality and not racial prejudice. The party of Lincoln would finally adopt the Southern Strategy under Richard Nixon in 1968 which played upon white fears of black racial advancement to get Republicans elected. The parties have since completely reversed racial polarities. It has been almost 150 years since Radical Republicans launched Reconstruction after the Civil War, and Emancipation with the 14th and 15th Amendments to the Constitution. Now, the heart of the Republican Party base is in the old Confederacy and West where many Southerners settled making so called “Red States.” There is a reason why 94% of African-Americans reliably vote Democrat today. That doesn’t say much good about Republican Conservative race policy. Just over seven in ten Latinos are within the Obama electoral coalition and Republicans in Congress seem to not be able to help themselves and desire to commit suicide by either not passing Immigration reform or doing it with no path to the rights of citizenship. American liberalism and progressivism have always seen with the dawn of the Twentieth-century the perquisite for a robust and active role for the national government in solving social and economic problems and putting forward the fight for justice and equality in a nation that had changed so fundamentally since its inception in 1776, and with the adoption of the present Constitution in 1789. The conservative libertarian push for a return to 1789 and a government that does not grasp hold of dealing with the imprint of a more modern world in so many ways is simply unworkable. The fundamental principle of equal opportunity with work and merit, the founding principle of “all men are created equal” that has since been expanded to become all humankind is created free and equal, the system of checks and balances within our Constitution and the Bill of Rights protect conservative and liberal alike to this very day. Goldberg sees the sort of government we have had since the Progressive Movement at the dawn of the Twentieth-century which in truth was a direct response to new technologies and forms of business organization after the Civil War as somehow a National Socialist or Fascist one but in milder form. Mr. Goldberg, if we were to try to run our government precisely as permitted under the laws and the Constitution of 1789 our nation would cease to exist within the year. The fact that those same founders provided for the supremacy of the national government and Federal law with the Supremacy Clause, and the ability to amend our supreme law via Constitutional Amendment or an interpretation of the document by the Supreme Court makes hash of your argument. The Constitution is in fact a living document. It is not where we were at that moment of its inception with no ability to adapt at all. Our founders may have been reluctant slaveholders but they were not stupid. They could look ahead to see our supreme law as provided in the Constitution adapt to changing times and modes of living. Instead of this character assassination of liberals and all they have done for the nation both conservative and liberal Americans must first see themselves as essential to the future of the nation. In 1972, with the McGovern candidacy, the Democratic Party and the American Left had veered too far off that center line in American life. Now, it is the Republican Party and its Tea Party base that has veered off that center line—that sweet spot of both electoral success and staying true to our founding principles whether it is a bit left or a bit right. If we cannot respect each other and appreciate the achievements of Americans of all parties and political viewpoints over time to the prosperity and health of the United States of America we may as well as give the Republic up for dead and let the killing and bloodshed begin; something to no ultimate purpose. But we liberals prefer to offer a more robust democracy with more voter and citizen participation on all sides. We know that as wonderful as our capitalist free market economy is there will be times when it will not meet the needs of all citizens and government will have to lend a hand until it is set right. We don’t abandon the poor to their fate for human compassion and empathy for the plight of the most vulnerable is knit into our very brows. We know that equality of opportunity so much championed by the early Progressive Movement–not a guarantee of a full equality of outcome for all citizens, and the rule of law, and non-violent protest are not Fascist and evil. Liberal and Progressive politics is truly rooted not in Fascism but in the needs of a common humanity. It also sees a republican form of government (small r) and the democratic process (small d) as something to continually be embraced and championed. If Liberals take to the streets quite often it is because it is cheaper to exercise our First Amendment rights to peaceably assemble and petition our government and to free speech. It is not to cause riots and simply destroy property. Such things are distinctly the exception and not the rule. We know that conservatives’ supporting at other times more gradual societal change, respect for tradition, fiscal restraint, less intrusive government with regard to civil liberties, and a strong national defense are things all Americans can stand on. Goldberg asserts that liberals are anti-religion. Some are. But we live in a world that has largely abandoned the faith of our ancestors from both sides of the political spectrum. More Americans now are un-churched across the board. But our very Constitution permits each citizen to practice their own faith without government interference, even if that is having no religious faith. A lot of liberals and progressives are people of faith too. The large liberal Catholic community in the United States with its emphasis on social uplift, and the legions of liberal Christians who wish to emulate Christ and show concern for the poor, the oppressed and outcast—“the least of these” give the lie to your portrayal of liberals and religion. 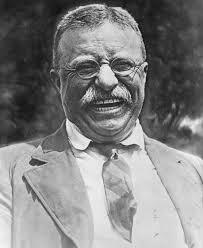 The old Progressive Bull Moose Party of 1912 led by Teddy Roosevelt used the Social Gospel of the Christian faith. Roosevelt could say with honesty that his party “stood at Armageddon and battled for the Lord.” They were not atheists or even agnostics but men of sincere faith. American Jews, and Muslims and people of other faiths all have a morally centered life that adds so much to this nation. No, Jonah Goldberg, your argument in your book is not sustained by fact nor history. The revisionism of the Progressive Movement and New Deal Liberalism and even extending to the 1960’s and beyond is poor history at best. It is highly selective of emphasis to the point where you borrow just what you need from the worst moments of the American Left and portray that as the core of the political doctrine of progressives over time. This sort of nonsensical historical interpretation is more reflective of the deep and widening rift between liberals and conservative Tea Party elements within the body politic now. The kind of conservatism we need is that of Dwight Eisenhower and his “middle of the road” conservatism; even that of William F. Buckley at his best. The liberal wing of the Republican Party centered in New England and the East is now largely gone. That makes our work of bi-partisan compromise and American solidarity across the political spectrum problematic at best. But the resurgence of the John Birch Society, Tea Party Patriot groups that flirt much too closely with white hate groups, the libertarian wing of the Republican Party in its difficulties with a common good and its clumsiness with real racial tolerance—even warmly embracing the nation as it is becoming now are what is most wrong with America. The insistence that the first African-American President was not born in the United States of America, that he is a resurgent Mau-Mau Anti-colonialist Kenyan Communist and Marxist is quite a mouthful for even an easily impressionable electorate to swallow. Yes, I bought and read your book Mr. Goldberg. It’s good to think on what those with whom you profoundly disagree are arguing and feeling. But I do not have to extend my approval to your misunderstanding of our nation’s history, nor do I need accept your distasteful perspective on politics. It’s precisely this kind of thinking in your book, Liberal Fascism, that is most at odds with what is central to the American democratic experience and our very republican form of government. This entry was posted in Community and Citizen Action, Essays, Foreign Policy, National Affairs, Race, The Faith Community, The State of Labor and tagged barack obama, Civil Rights, FDR, Hillsdale College, Jonah Goldberg, Liberal Fascism, Liberals, Progressivism, The New Deal, Woodrow Wilson. Bookmark the permalink. Thanks for commenting. Though I am confused. This piece is over 4,700 words. Visual images in the piece were more numerous since they highlight what I wrote. No doubt about it, BOTH parties are progressive and BOTH parties subscribe to a Corporatist-Fascist rule of government, as our rigged and manipulated economy is based on a model of 1930’s economic fascism. The American Nazi Party is what statists and ideologues like to refer to as Democrats and Republicans….